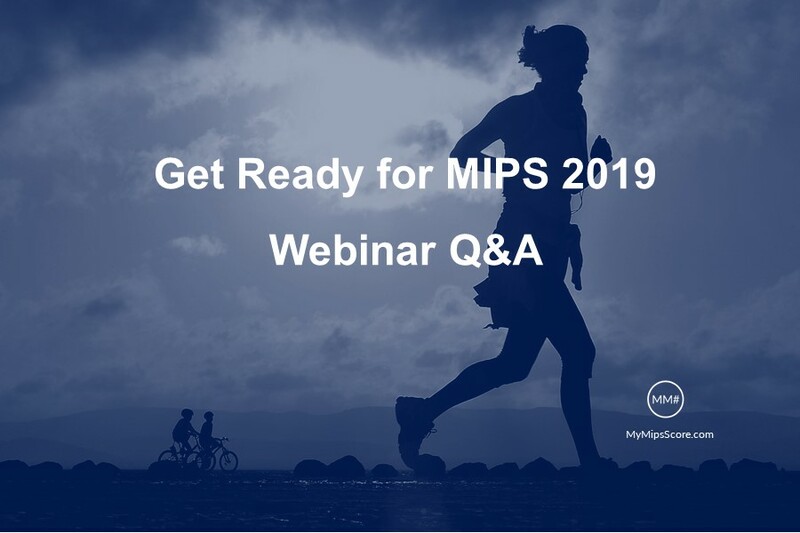 During the webinar “Get Ready for MIPS 2019”, we discussed the significant changes in all the performance categories and how MyMipsScore helps you navigate these changes. In particular, we talked about how to find the best Quality measures across multiple collection types to maximize the Quality score, and how scoring and re-weighting works for the newly restructured PI category. We have compiled a list of questions and answers from the webinar for your ready reference. In case you missed the webinar, we also recorded it for you. What is the major change to the Quality category and how does MyMipsScore™ application address it? For the 2019 Performance Year, the Quality category allows providers to submit the CQMs via multiple methods (eCQMs, MIPS Registry, Claims), to maximize the Quality score. The CQMs have also undergone a shift in the benchmarks that affects the scores. A CQM that you reported in 2018 might not be appropriate for 2019. MyMipsScore has updated all the CQMs to reflect the 2019 status. Additionally, MyMipsScore is both a Qualified Registry and a Qualified Clinical Data Registry (QCDR), which allows us to submit Quality measures from multiple collection types. What elements change each year for MIPS and how does MyMipsScore handle that? From year to year CMS adds or removes Clinical Quality Measures (CQMs). They also change the benchmarks for several CQMs. Additionally, CMS revises the scoring and or bonus points that covers every category of MIPS. MyMipsScore reviews and incorporates all the changes into the application for each performance year to enable measure analysis and MIPS score calculation based on the most up-to-date information. What measures does MyMipsScore QCDR support? MyMipsScore is an approved Qualified Clinical Data Registry (QCDR) and is partnered with American Podiatric Medical Association (APMA) to support the podiatry measures. However, as per the QPP 2019 Final Rule, a QCDR can license the approved measures from another QCDR. So, if you are affiliated with a QCDR, or are using one for your specialty, we can work with your QCDR to support those measures. This would allow you to analyze QCDR measures alongside eCQMs, MIPS-CQMs (Registry measures), and Claims measures in the MyMipsScore App to submit the 6 best measures for your organization. Can I submit Registry measures (MIPS-CQMs) through the QPP portal? No, QPP MIPS submission portal ONLY receives eCQM data in a QRDA III file format. MIPS-CQMs will need to be reported via a Qualified Registry like MyMipsScore. What is the advantage of signing up for your services now versus at the end of this year? What is the maximum number of providers that can be under one account? There is no maximum number of providers. We accommodate all the providers within a practice/TIN. Will I be able to sign up for a multi-year service agreement? We are open to discussing multi-year agreements. How often can I get a report of how I am tracking on the MIPS program? The MyMipsScore application supports all reporting frequencies: daily, weekly, monthly, quarterly depending upon your MIPS strategy . What support do you offer if I get audited? Our process involves making sure you create a “Book of Evidence” that contains all of the documentation required to support all of your MIPS data submissions. If audited, you just provide the document to the auditor and you are set. If you did not use our process, we offer consulting services to assist you in preparing the necessary documentation to respond to the auditor. These audits can happen anywhere from two weeks to six years after the submission deadline. If CMS has a provider listed as eligible for MIPS for this year could that status change? CMS has two determination periods for the 2019 Performance Year. The first is from October 1st, 2017 to September 30th, 2018. The second is from October 1st, 2018 to September 30th, 2019. This process is skewed in favor of the provider. If you are deemed MIPS eligible during the first determination period, but not eligible during the second determination period, a provider(s) is exempt from MIPS. If a provider is deemed not MIPS eligible during the first determination period, but deemed eligible during the second determination period, the provider(s) is still exempt MIPS. Essentially, you need to be deemed MIPS eligible during both determination periods to be required to participate in MIPS. NOTE: If you are not eligible as an individual, you could have an option to pool your group data to become eligible for a Group submission (2 or more providers). Also, if you are deemed not eligible, you can choose to OPT-IN to MIPS and you would be subject to positive, negative or neutral payment adjustments.You can check your current 2019 eligibility status on https://qpp.cms.gov/participation-lookup. What information do you offer for the Cost Category? Could you please explain the PI measures and objectives again? For 2019, MIPS Promoting Interoperability (PI) category has been divided into 4 objectives. Each objective has one or more measures that are required to be reported. You need to report on ALL measures or CLAIM EXCLUSION to earn a score in PI category. Depending upon the measure, either it must have a Numerator ≥ 1, or a “Yes” response if exclusion is not claimed. 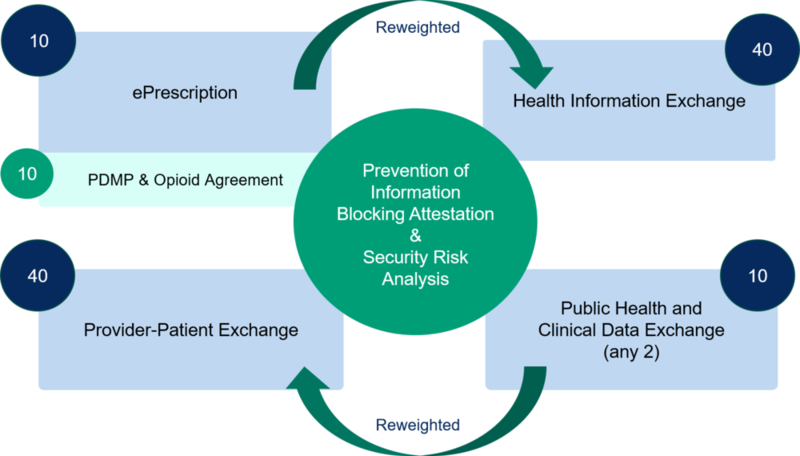 In addition to the measures under the objectives, you also need to report a “YES” to the Security Risk Analysis, Prevention of Information Blocking Attestation, and the (ONC) Direct Review Attestation. Answering “NO” to any of these would result in a PI score of ZERO. If exclusion is claimed for the applicable measures, the points for those measures are reweighted to either the measures within the same category or to other objectives. Points for ePrescription are reweighted to HIE Objective. Similarly, points for Public Health and Clinical Data Exchange are reweighted to Provider-Patient Exchange objective.